An unsent letter in a first-edition copy of Charlotte's Web leads to a hunt for treasure in this heartwarming middle-grade mystery from the author of The Mother-Daughter Book Club. Now that Truly Lovejoy's father has been injured by an IED in Afghanistan and is having trouble finding work back home, the family moves from Texas to tiny Pumpkin Falls, New Hampshire, to take over Lovejoy's Books, a struggling bookstore that's been in the family for 100 years. A great mystery for kids. 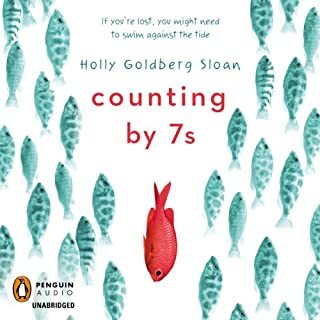 Twelve-year-old Lucy Desberg is a natural problem solver. 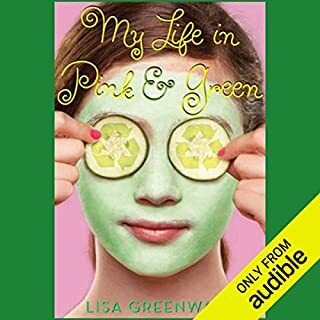 After the local homecoming queen shows up at her family's struggling drugstore with a beauty disaster that Lucy helps to fix, Lucy has a long line of makeover customers for every school dance and bat mitzvah. But all the makeup tips in the world won't help save the pharmacy. If only she could find a way to make the pharmacy the center of town again - a place where people want to spend time, like in the old days. Daddy Long Legs is a beloved story in the spirit of Jane Austen, the Bronte Sisters, and Downton Abbey. 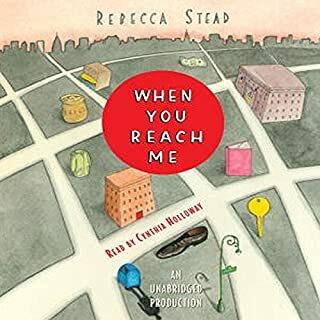 This heartwarming Cinderella story about a witty and winsome young woman and her mysterious benefactor charmed audiences of all ages from Los Angeles to London, when it made its musical debut. Critics called the story one of the most enthralling, entertaining, and moving love stories. And now, you can listen to the story told by the musical's Jerusha Abbott herself, Megan McGinnis. The book club is about to get a makeover. Even if Megan would rather be at the mall, Cassidy is late for hockey practice, Emma's already read every book in existence, and Jess is missing her mother too much to care, the new book club is scheduled to meet every month. But what begins as a mom-imposed ritual of reading Little Women soon helps four unlikely friends navigate the drama of middle school. From stolen journals to secret crushes to a fashion-fiasco first dance, the girls are up to their Wellie boots in drama. They can't help but wonder: what would Jo March do? 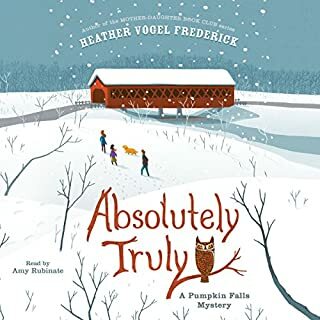 Acclaimed author Heather Vogel Frederick will delight daughters of all ages in a novel about the fabulousness of fiction, family, and friendship. What disappointed you about The Mother-Daughter Book Club? 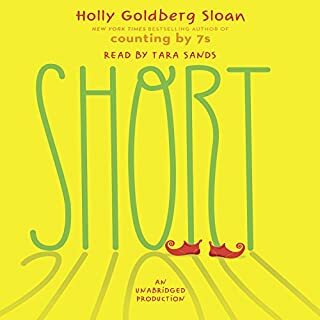 Don't let your kid listen to this book. It's so computerized that it makes you cringe. 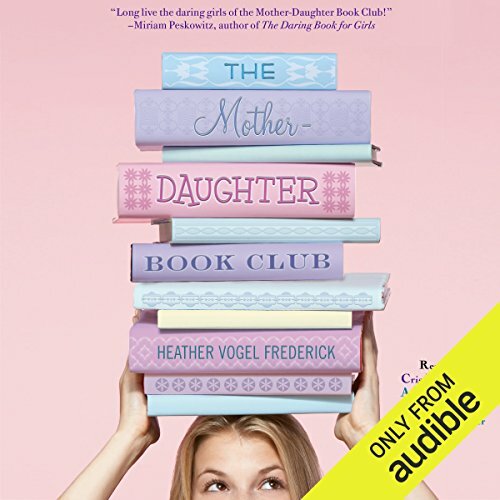 Where does The Mother-Daughter Book Club rank among all the audiobooks you’ve listened to so far? This is the first, but not the last. I liked all the different girls' points of view. The character development was fantastic. You were able to follow the characters through their problems and the characters grew to know each other. The narration was fantastic. Using different voices for the characters really brought it to life. This is a great story for coming of age in school and in everyday life. Makes me wish I spent these days with my daughter in a book club. The Mother-Daughter Book Club was adorable!!! 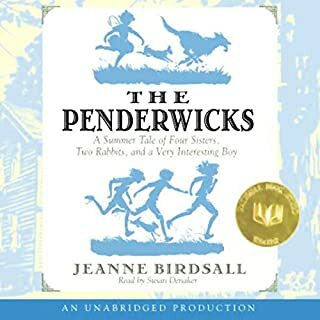 I greatly enjoyed listening to this book! It brought me back to times in my life when I have experienced similar difficulties and challenges. I greatly admired how it was so clean and wholesome to listen to! I will CERTAINLY recommend this book to all of my nieces who are entering/enduring their teenage years! Several of the situations which came up at school -such as the dance-brought back memories which I felt weee exclusive only to me! It was amazing to see the way in which the author brought those out and made things work out well for the characters.